Besides the exercises demonstrated in your videos, "Foam Roller Exercises and Stretches for Your Trapezius Muscles" can you provide any additional treatment suggestions for shoulder and neck pain? The pain you are feeling in your trapezius and neck, in the absence of an injury, most likely is due to chronically held tension from stress. It is a common area that we tense up, usually unconsciously. Your goal is to bring your conscious attention to this area. Sit quietly and deep breathe. As you breath, focus your attention in this area. Breathe into your neck and trapezius muscles. Tell your trapezius and neck pain that you know it is there, and tell the muscles it is OK to relax. Keep breathing and quietly sending your breath and your attention to this area. Once you have mastered this stillness and this space, start doing the neck exercises I show you in this article on neck pain. 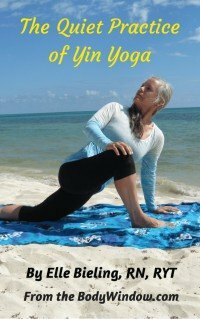 (Click on link) Do these exercises very gently and mindfully, still sending your breath into the area as you stretch. If you still feel knots in this area, after doing the exercises above, you may wish to get a deep tissue massage. Ask your friends for a good massage therapist they use. It may take several sessions over several weeks to feel results. If this helps, continue the neck stretches and the foam rolling to keep this area relaxed and open. If none of these treatments work, you may try a physical therapist. Ask your doctor for a prescription. They have other modalities like ultrasound to help. Going forward, you will always need to be conscious of this area. Do the breathing and the gentle stretching several times during your day. The more you are mindful of the area under stress, the more you will be able to tell the muscles to relax! All the best to you on your healing journey!